I’ve recently discovered how much fun Rosie can have with trays full of random things! There are so many ideas for sensory trays and activities all over Pinterest, facebook, parenting blogs. I thought I’d give it a try! I simply filled a large tupaware base with a bag of rice, a bowl, a large baking dish, a measuring spoon, a plastic bottle cut in half, some straws, lolly pop sticks and half an egg box. 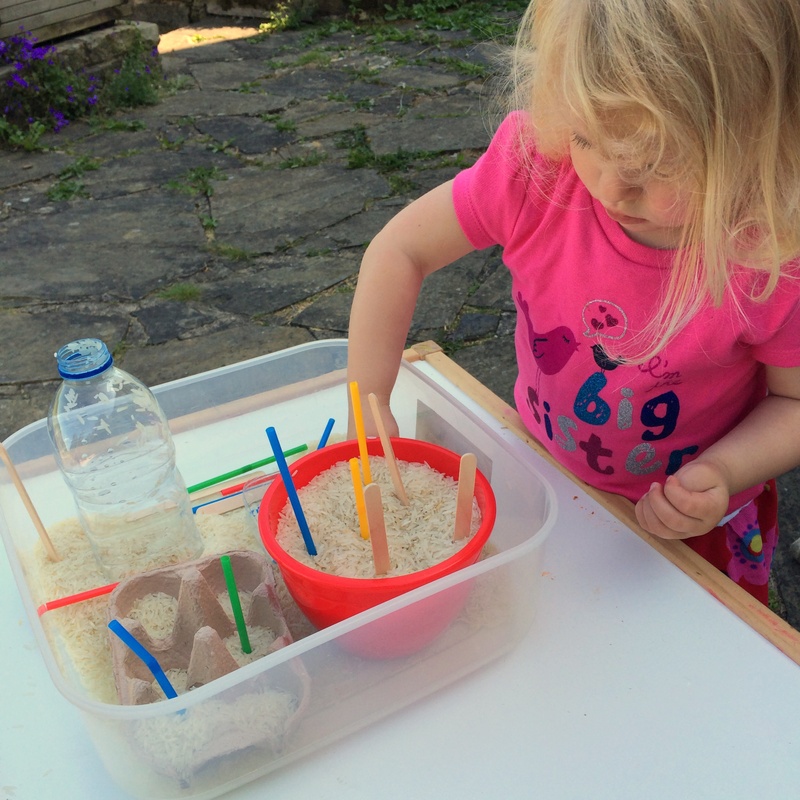 Rosie loved playing with it, we set it up on a table outside – as you can imagine the rice went everywhere! Rosie spent ages experimenting with the containers, making imaginary birthday cakes etc. She then added a penguin and some Pom poms and played hide and seek with them in the rice. I would definitely try this activity again … But there are so many more ideas I want to try. I’ll keep you posted with other activities we discover. 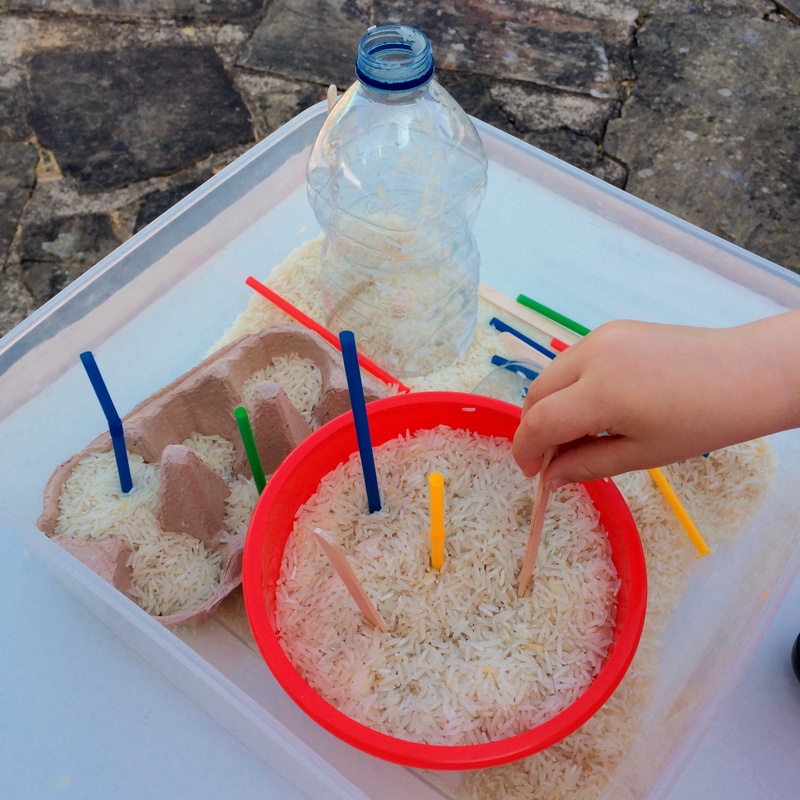 Have you discovered any fun sensory activities you’d like to share? Feel free to tell us about them in the comments below. 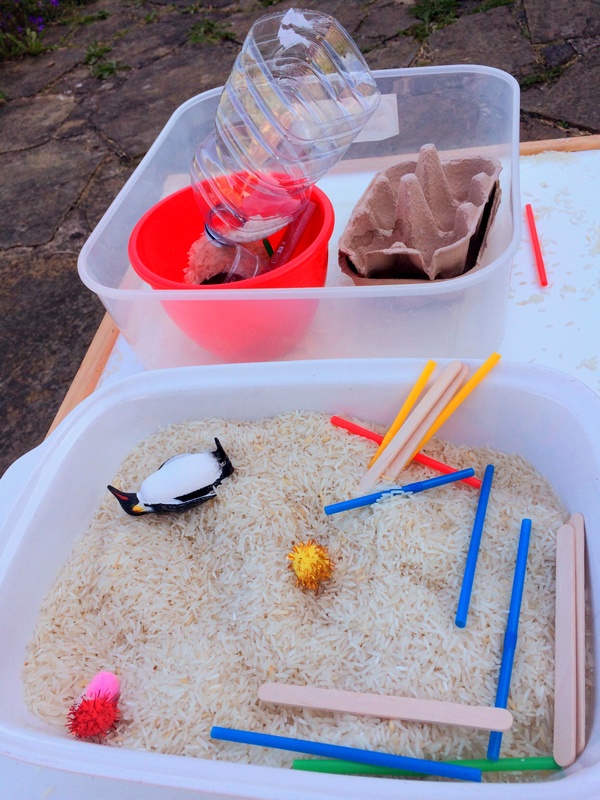 This entry was posted in Activities we love ... and tagged Activities, Play, Sensory, Toddler. Bookmark the permalink.